Yesterday, it was announced that Zayn Malik would be leaving the hugely successful boy band One Direction, which brings the act down to a quartet for the remainder of their current tour and forthcoming fifth studio album, which is expected out in the later part of the year. 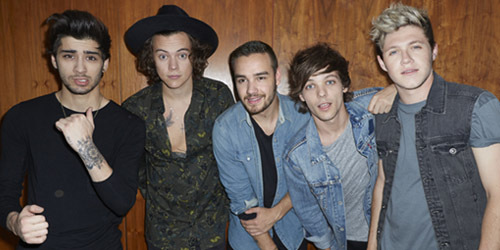 In a statement, Malik said, in part, that he is exiting to be “a normal 22-year-old who is able to relax and have some private time out of the spotlight.” He also wishes his four bandmates well: “I know they will continue to be the best band in the world.” Of course, this led to immediate speculation that Malik could pursue a solo career and that the group of four could split entirely at some point, but let’s take the wait and see approach with those two thoughts. This is still fresh. What’s your favorite song from the band? Let me know! Follow the blog by clicking below and/or click the “Get Social!” page link at the top to find PGTC on social media sites like Facebook, Twitter and more.